Fun card for the gamer - for those who you cant pull away from their play stations! 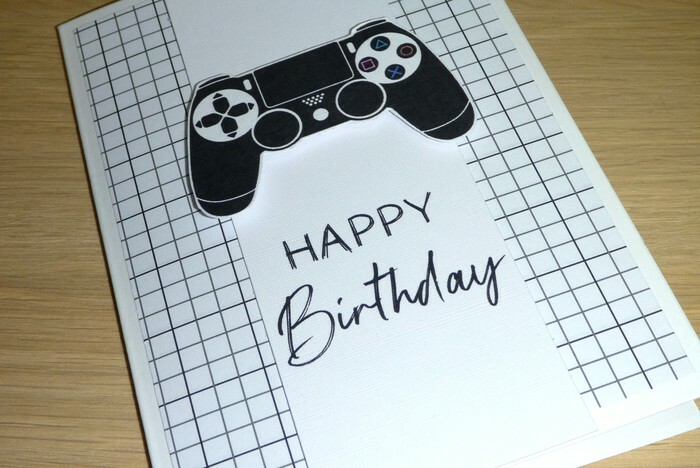 Features grid print paper with happy birthday greeting complete with gaming console which sits slightly higher than the card. The white card measures approx. 14.5 cm x 10.5cm and comes with envelope and sealed in a cello bag.